A letter from Mrs. L.H. Washington, lecturer and organizer for the Iowa Women's Christian Temperance Union, writing Kansas Governor St. John, detailing her work schedule for the next few weeks. 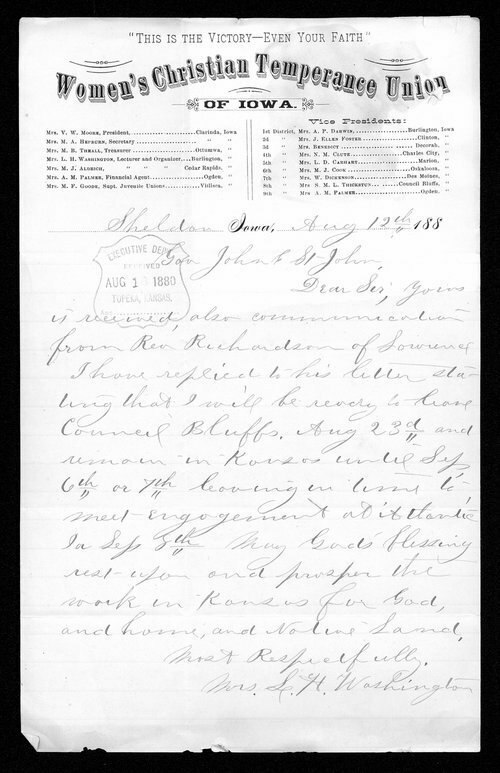 The letterhead includes the names of various officers of the Iowa WCTU. Creator: Washington, Mrs. L. H.